Where there is only one boss and three voters, the Obama family delayed a decision on the family dog. The decision(s) on the stimulus? A snap. And the White House urged and still urges immediate passage. Speed is needed. The dog was more complex than the stimulus. It has to be hypoallergenic. House trained. Politically correct. The stimulus just has to throw money around and that’s apparently easy: especially if it is borrowed money. It isn’t really our money. We’ll just print more. So the president took his jacket off and rolled up his sleeves for photo ops in the Oval. But he never really rolled up his sleeves and went to work with Republicans urging new ideas upon the president and the Democrats. And what have we got? Two more photo op days: today in Elkhart, Indiana and tomorrow in Fort Myers, Florida. In Elkhart they make RVs. In much of the rest of the world, you’d have to explain what an RV is and what a hypoallergenic dog is. We might have to get back to basics. Depends what your definition of “is” is. Senator Chuck Grassley, the Republican from Iowa, said on a Monday morning TV news program, “Bipartisanship starts at the beginning. You have to sit across from one another for days or weeks. 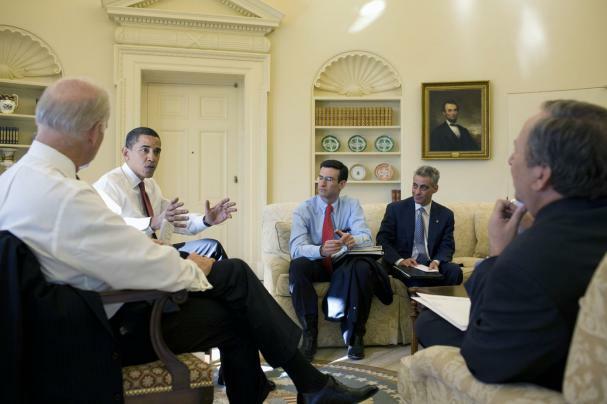 He also said the calls to his office were 8:1 against the stimulus…. Under pressure to win passage of a stimulus bill by week’s end, the president plans a mini-tour and prime-time news conference to build support, while a key speech by the Treasury chief is delayed. Reporting from Washington — With the Obama administration facing a make-or-break week to enact a massive economic stimulus package, officials ramped up pressure on lawmakers Sunday to waste no time sending the bill to the president for his signature. President Obama plans to hit the road to sell the package directly to the American public. He’ll spend today in Indiana and Tuesday in Florida, talking with communities that have been hard hit by the recession. And tonight, in Washington, he’ll hold his first prime-time news conference, with the economy likely to be Topic A. You are currently browsing the archives for the Fort Myers category.